Home Companies DONGGUAN AIBUSI ELECTRONICS CO.,LTD. 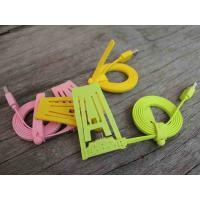 With micro connectors,it is compatible with Samsung blackberry and most mobile phones using Micro usb jack. 2,Can be through the Dock direct or indirect. 3,Connect to the Samsung ,blackberry and most mobile phones etc to computer USB port, in order to achieve efficient sync data transmission and the charging function.